Editing orders is done without creating a duplicate order or canceling the order and creating a new one. If you’re looking for a way to quickly edit existing orders without the hassle of canceling and creating new orders each time, then this Magento order editing extension is the perfect solution. With this Magento order editor, you can quickly edit order items, shipping method, order status, and more on an existing order. Adding new items to an existing order, changing the quantity or even deleting an item can be easily done without needing to cancel the order and create a new one for each edit. Editing the product list in an existing order. The widget at the bottom allows the admin to add new items. When an order is edited a note is automatically added to the order notes, so order changes will always be tracked. 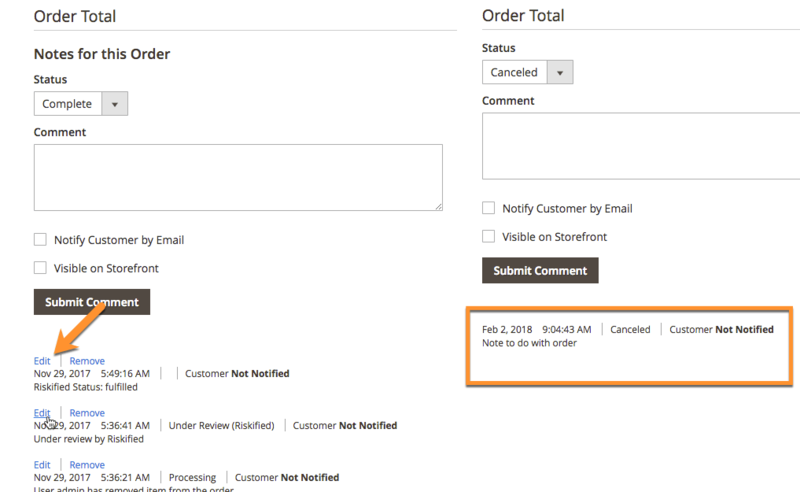 The order editor extension automatically creates an order note recording the changes made to the order, which user made them, and the date and time stamp. Notes may also be added to orders manually. Note that it's not possible to apply refunds, reauthorize credit cards or change the payment method post purchase. An order note created after an order has been edited. 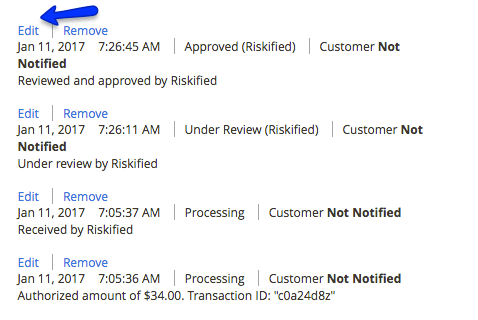 After editing an order and clicking ‘save’, the edit order management extension sends an order notification to other systems that the order has been updated. No Duplicate Orders – Eliminates duplicate orders upon editing, reducing issues between Magento, CSRs, fulfillment systems, credit card processing and accounting. Edit Order Items – Remove, update quantity, change price for any item in an order, or add a new item altogether. 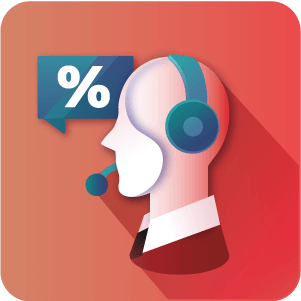 Quick Existing Order Edit – Quickly edit existing orders (like billing and shipping, item information) directly from the Order Details page, saving time and effort. Add Order Notes – Automatically creates an order note annotating changes made, user, date / time stamp, and allows for optional comments. 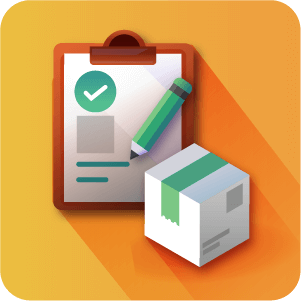 Recalculate Shipping – Shipping can be recalculated during order edit. The extension will show a list of newly calculated shipping methods. Delete Orders – Permanently delete orders from database. 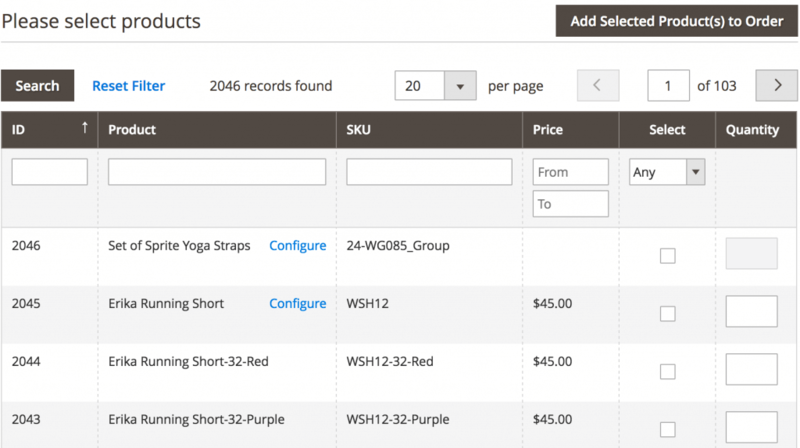 Archive Orders – Archive orders in bulk from a sales order grid or in a separate grid page. 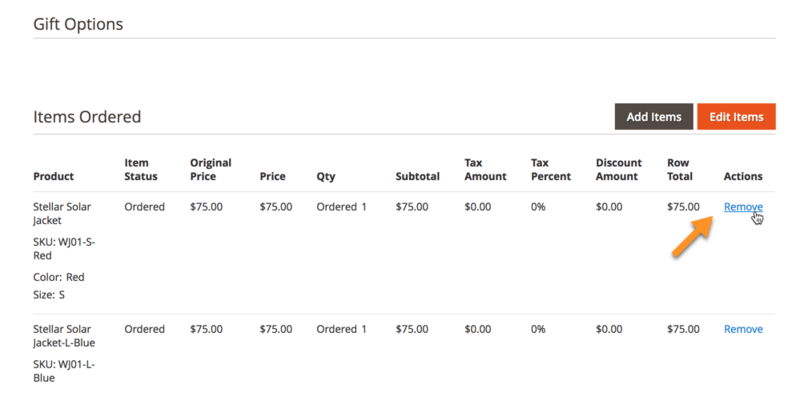 How do you add a custom product to the existing order? This is done through the admin Panel in the Order view. 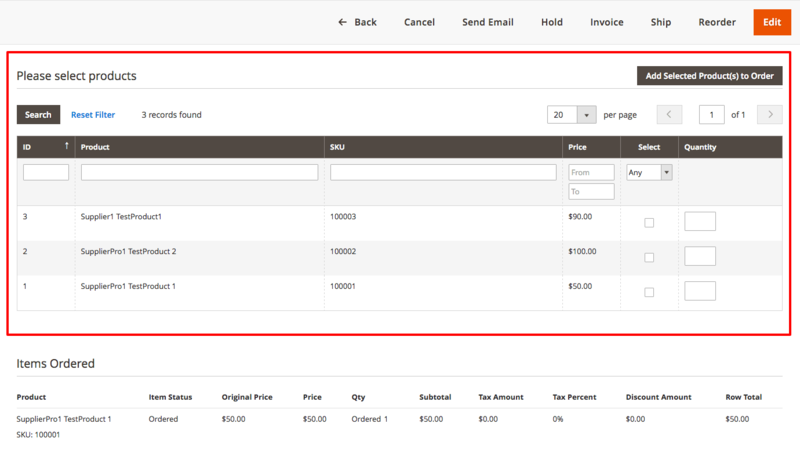 While viewing an order’s detailed view a button to add items is displayed allowing store items to be added. Yes. With the True Edit Order Extension for Magento 2 you can remove a product with a given configuration and add a different associated product with desired configuration for any order. Editing an order does not add any extra charges to the order. However recalculating shipping is an option, if this is necessary. Custom tax percentages can also be added. The Tax class can be changed since the order by the Administrator. Can users edit an unlimited amount of orders? 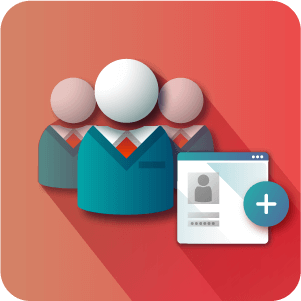 Yes, administrators are able to edit an unlimited number of orders. Are duplicate orders automatically eliminated? The True Edit Orders extension will not create duplicate orders, but rather will edit the order data itself. Can the order notes be manually changed? The True Edit Orders extension allows for order notes to be Edited manually or removed. Is an order note automatically generated whenever I modify an order using the True Edit Order extension? The issue with tax calculation was fixed. After the order was edited, the user is redirected to the order page. The issue with the di compile is fixed. Fixed the displaying of column “Action” on the order items. Now if the admin is not allowed to edit order items, then the column “Action” won’t be displayed. 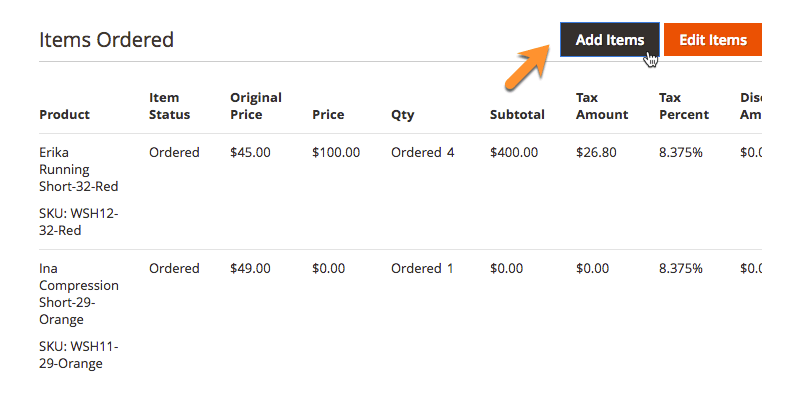 Added ability to set custom product price (the price is calculated correctly regarding the taxes and discount coupon). 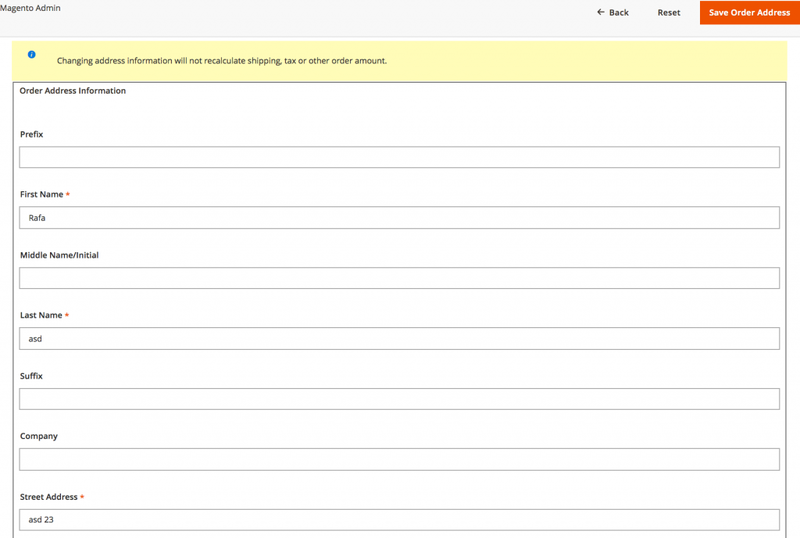 Added validation of shipping methods after the shipping address was changed. Add ability to edit shipping method after shipping address was changed. 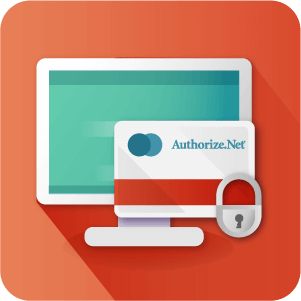 Added ability to change payment method (doesn’t work with online payment methods like Authorize.NET or PayPal). 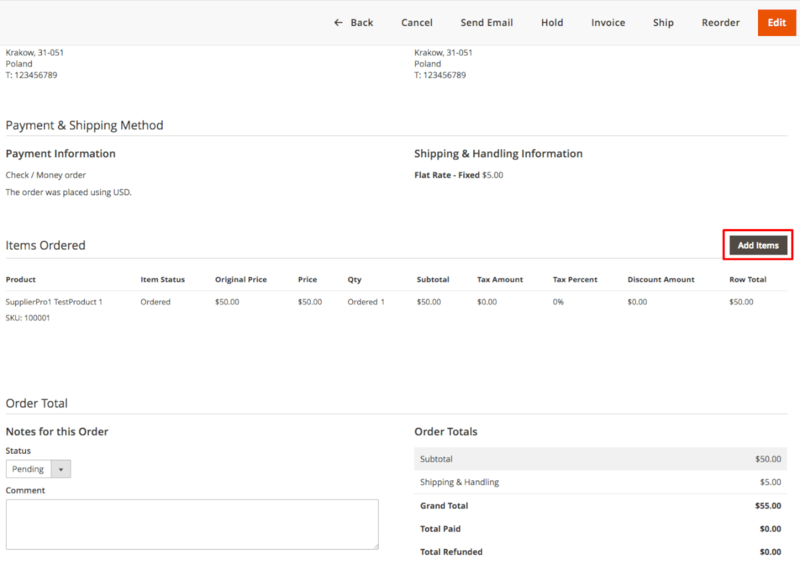 Added ability to set custom shipping method price. Added ability to remove the order on the order page. Fixed issue with adding new products to existing order with quantity bigger that 1. Ordered item list has been fixed for Magento 2.0.x. Fixed issue with adding configurable product to orders, in some cases options were not loaded properly. Minor fix for shipping method edit functionality. Minor fix for order notes edit functionality. Add configuration option to allow orders modification with allowed statuses only. Add items grid filtering fix. Automatically generate order note after removing an order item when order notes after editing order items feature is enabled. Fix compatibility with EE version. Add option to enable automatically generated order notes after editing order items. 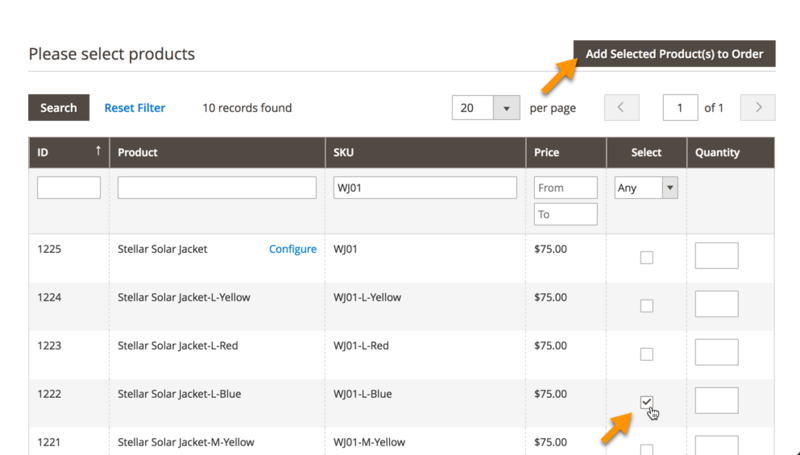 Add option to enable automatically generated order notes after editing order shipping method. Add ability to edit order notes with separated acl resource configuration. Add ability to remove order notes with separated acl resource configuration. Add ability to edit order shipping method.